KinderGarden Plants are the leading specialist supplier of young Plants to the UK Garden Centre trade with many years of experience in supplying quality and reliable products. The Foundation's objectives are the "promotion of education and research into ornamental horticulture". Thus far, the Foundation has provided scholarship funds for over 60 students at several horticultural colleges across the UK and Northern Ireland, as well as through the support and sponsorship of several named and sponsored scholarships. To date, over £100,000 has been provided to support students. The Association works to help meet grower's needs for R&D, marketing and political representation - helping businesses grow together and raising the profile of the industry. Our grower members produce bedding plants, pot plants, cut flowers and other ornamentals under protection. Our trade members provide the supplies growers need to produce their plants. The BPOA supports its members to improve business efficiency and product quality, as a result there are no better businesses to buy your flowers and plants from. Many of the country's leading garden centres belong to the Garden Centre Association and each one has to achieve a high level of good business practice before they can be accepted as an Approved Member. 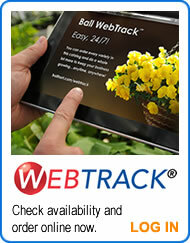 To ensure that high standards are maintained, each garden centre is inspected annually. At GCA member garden centres you can be assured of excellent levels of service, plants of quality and associated products, together with innovative life-style displays, professional advice and information. Horticulture Week is a leading weekly magazine for all professionals working in areas of horticulture. It covers every sector of the industry with key developments in both edible and ornamental growing, retail, arboriculture, grounds maintenance and landscaping. For over seven decades, Ball Publishing has provided the horticulture and floriculture communities with the latest, most thorough information to aid those businesses in improving their bottom line. Through our magazines, books, conferences and web sites, we strive to provide entertaining, but balanced and unbiased, horticulture and floriculture resources for breeders, growers, wholesalers and retailers. A leading breeder of vegetatively propagated plant varieties, Ball FloraPlant has won critical acclaim for its genetics and reliable supply of disease-free certified cuttings. Our multi-disciplinary team of experts in molecular biology, cell biology, analytical chemistry and intellectual property, Ball Helix works closely with Ball breeding and production units to develop innovative commercial horticulture products. Darwin Plants is Holland’s largest exporter of bare root perennial plants, with a firm foothold in North America, Europe and The Far East. It supplies bare root items to Darwin Perennials in North America. Kieft Seed is a brand of high-quality seed perennials and specialty crops, including popular first-year flowering perennial assortments and gerbera. One of the world’s leading breeders and producers of F1 hybrid and open-pollinated seed, PanAmerican Seed has created innovative varieties from annuals to vegetables for almost 70 years.